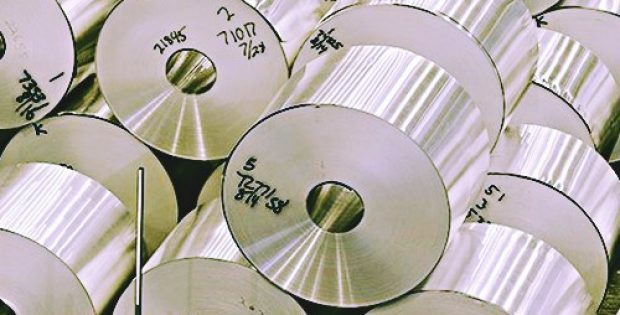 Leading industrial aluminum conglomerate, Novelis Inc. has recently announced plans to invest $175 million in its Pindamonhangaba plant in São Paulo, Brazil, an expansion of what Novelis claims to be a leading production facility in South America. Reliable sources suggest that the investment will assist the company’s aluminum beverage can segment and specialty customers by increasing recycling capacity by 60,000 tons and rolling capacity by 100,000 metric tons. Following the expansions, the Pindamonhangaba facility is expected to produce approximately 450,000 metric tons of recycled metal and 680,000 metric tons aluminum sheet annually, cite sources. As per a statement, the company also claims on investing in a new water sourcing system and acquiring approximately 90 acres of land for potential future growth. Steve Fisher, President and CEO, Novelis, was quoted saying that the investment, in addition to rolling and recycling capacity, will further strengthen the company’s commitment to the South American region and better positions the firm to meet its customers’ requirements. Fisher added that Novelis also aims on developing another reliable water source which would further help deliver its goal of modelling a sustainable world together. Sources cite that the construction on these expansions will begin in February 2019 and is expected to be complete in 2021. Moreover, the project would include an increase in sheet ingot, recycling production and hot mill, and corresponding improvements that would generate more than 50 new jobs in the region. According to Tadeu Nardocci, Senior VP of Novelis and President of Novelis SA, sustainability is the backbone of the company’s business model, and the expansion project is totally aligned with this vision. The Pindamonhangaba facility is already the largest center for aluminum recycling and rolled products manufacturing and in South America, and the recent expansion will further solidify Novelis’ leadership position and create new opportunities to offer innovative solutions to its customers, said Nardocci.